Nicole (@NicoleSmithGolf) is one of LPGA's specialists fav for the Riviera Nayarit Classic of the Symetra Tour. Last year ended only one stroke behind the leader. 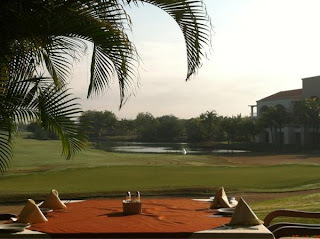 This morning she jogged to El Tigre Golf Course and published this pic on the 18th hole.